I asked my dad once, in childhood, “Why do we go to church?” Primarily, I was wondering why I had to get up early (I would have rather slept). As I’ve grown, and have had to make the decision to get myself out of bed on Sunday mornings, the question has faded behind years of habit. But this inquiry - and by extension, the broader “Why am I doing any of this?” - is a question Christians should be able to answer. So how do we answer this question of “Why”? 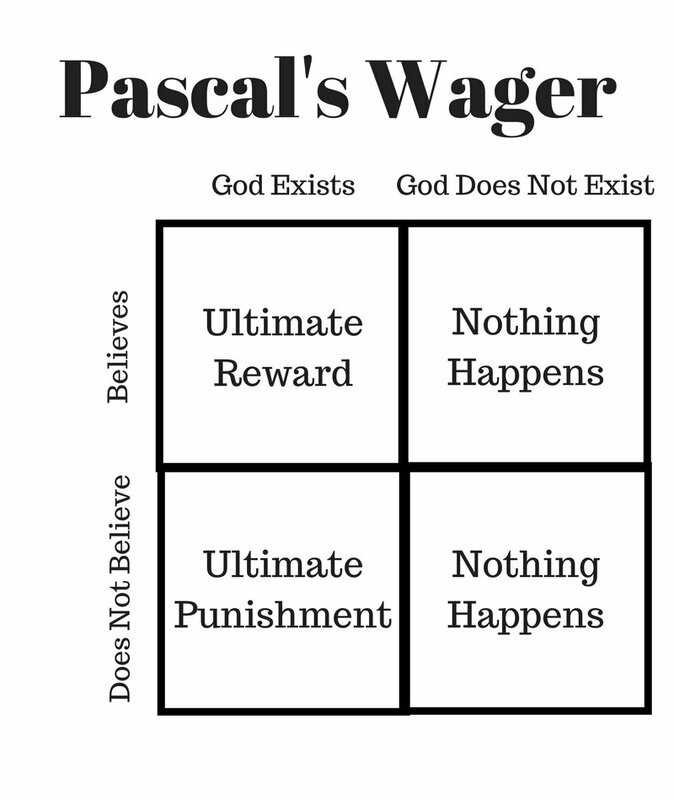 We could look at Pascal’s Wager, which compares and contrasts the advantages of choosing to believe or not believe in God. If God does not exist, the outcome is the same whether you believe in him or not: nothing happens. But if God does exist, deciding whether or not to believe in him could be the most important choice you ever make. If God does exist and you do believe in him, you receive the ultimate reward: heaven. But if he exists and you do not believe in him, you receive the ultimate punishment: hell. Therefore, Pascal concludes that belief in God provides the best potential for personal benefit. While Pascal’s wager may be, for some people, a starting point to convince people that it’s not crazy to believe in God, it is not a good or even Biblical reason to continue to believe in or worship God. Pascal’s wager focuses on the benefit of self, asking, “What am I getting out of this?” We ask this question all the time - What benefits does this job provide? Does my significant other fit my list of requirements? It’s not wrong to think about how your choices will affect you. But when I look at my relationship with God, the question “What’s in it for me?” is the wrong thing to ask. In Exodus 20:5 God says he is a “jealous” God, desiring and deserving of our worship. For great is the LORD and most worthy of praise; he is to be feared above all gods... Ascribe to the LORD the glory due his name; bring an offering and come before him. Worship the LORD in the splendor of his holiness. In other parts of Scripture, God is called holy, mighty, the creator, the redeemer, the rock, our salvation, and many other praiseworthy things. God is praised and worshipped throughout the Bible for who he is and what he has done - not because the worshippers are trying to get something out of him. If I go to church, read my Bible, or pray because my primary focus is on myself and what I hope to squeeze out of God through my selfish persistence, I’m being “Christian” for the wrong motives. One popular idea aimed at girls my age, which I know I have fallen prey to at times, is the relationship “advice” from newly married young women. They often say, “It wasn’t until I put God first in my life that I met Chad (or Derek, or Dennis, or whoever),” implying that if you only get right with God, your knight on a white horse will suddenly come sauntering into your life. But if I worship God because I’m secretly hoping that I will “hit the right buttons” and “receive” a boyfriend or husband, I am again being self-centered in my desire to pursue a relationship with God. Ultimately, when we come to God in worship, our primary focus should be on taking in everything we can understand about him and praising him for it. It’s why we sing, “Holy, holy, holy,” “Praise him, Jesus our precious Redeemer,” and “You’re a good, good Father.” We should worship because we know that he is worthy of it and because we desire to give him all the praise and glory we can offer. 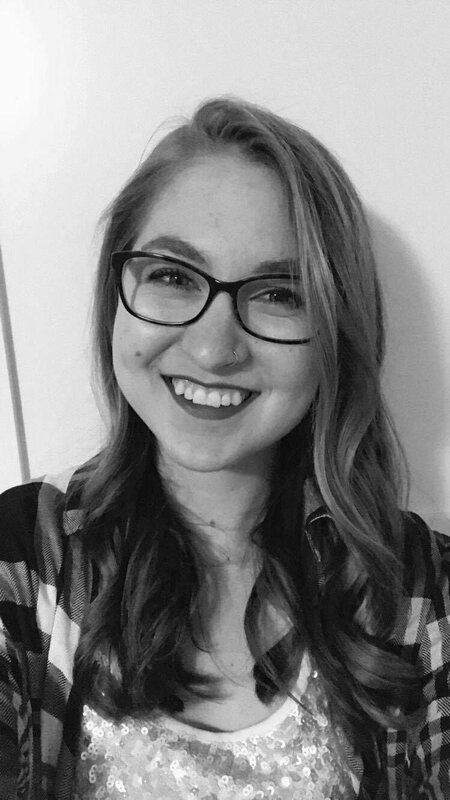 Elise is a student studying English and philosophy at Spring Arbor University. On campus, she works for the student newspaper and at the writing center, and enjoys reading and singing in her free time. While at home, she lives with her parents and three younger siblings. She is looking forward to where God will take her next.